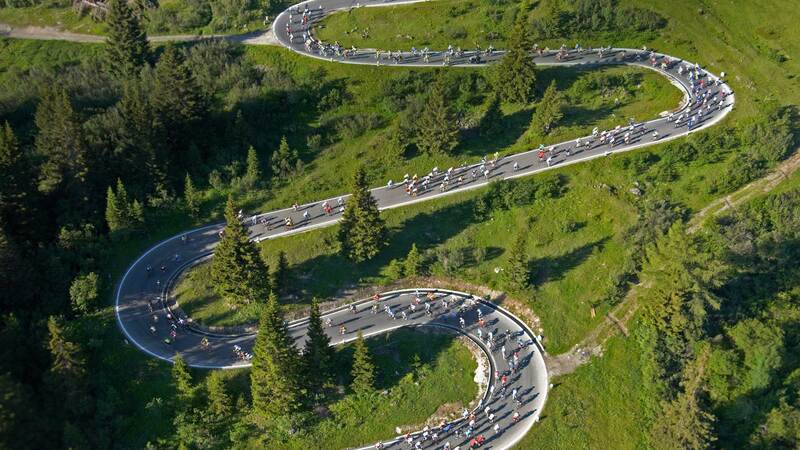 This is an aerial view of the Maratona dles Dolomites, a cycling race that’s not for the faint-hearted. 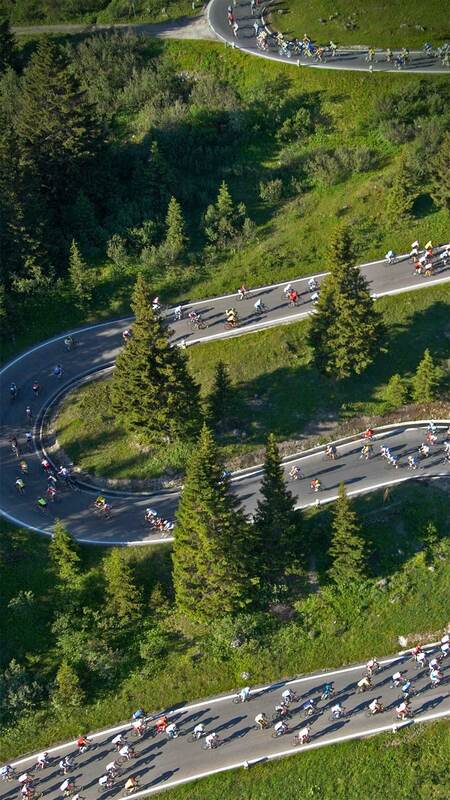 The most dedicated of these competitors will pedal through seven spectacular mountain passes as they ride 138 kilometres through the Dolomites of north-east Italy. The single-day race was first held in 1987 and attracts over 30,000 applicants every year, but only 9,000 riders can take part.